Last month Galway Diary explored the sham legend that grew around the so-called ‘Empty frame’ on the wall of the Lynch’s Chapel, or Lady’s chapel, in the historic St Nicholas’ Collegiate church. 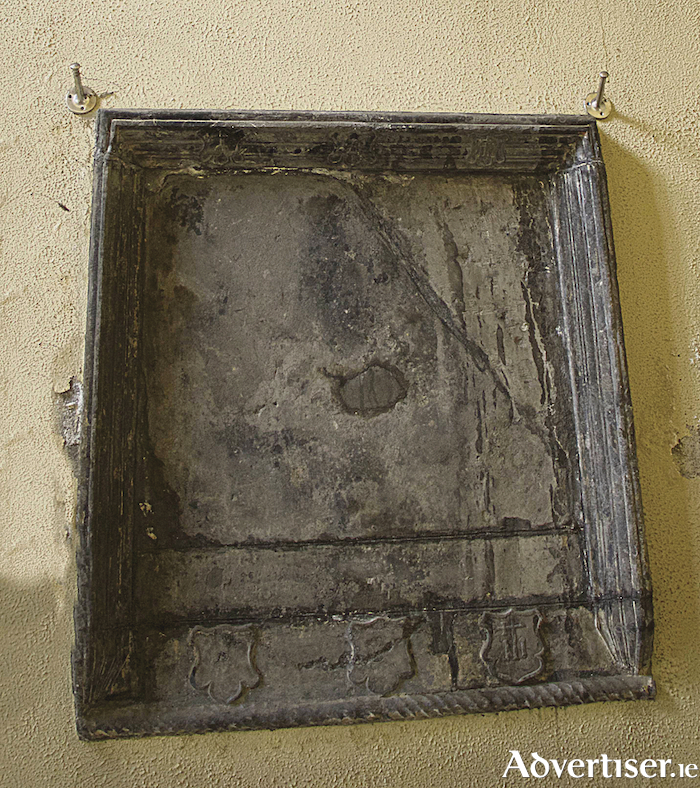 The late Canon George Quinn pronounced that this was the very frame in which the Bishop of Clonfert, Walter Lynch’s sacred icon of the Madonna and Child once hung, before he was forced to flee just before the arrival of Cromwell’s soldiers in April 1652. Canon George, enjoyed telling a good story. He described Bishop Lynch’s desperate flight to Inisbofin; and after its surrender, he and its garrison were forced into exile in Flanders. We were led to believe that the picture, presumably hidden under his cloak or in a bag, was in his possession. The poor man lived in poverty but at all times comforted by his picture, until he was invited to Gyor, in Hungary, by the kindly bishop Janos Pusky, where he was given a home, and pastoral duties. Forty-five years later, on St Patrick’s Day 1697 the picture shed tears of blood witnessed by more than 1,000 people. The picture, encompassed in a vast ornate altar in the cathedral of Gyor, is the source of deep devotion by the Hungarian people. So when Canon George, without any sense of proper historic investigation, wrote that this ‘empty frame’ once contained the Irish Madonna of Hungary, the story, as they say, went viral. There is, of course no evidence whatsoever that the painting hung in St Nicholas’s. This was irrefutably argued by historian James Mitchell in the Galway Diary April 12. But it is accepted that it was in the possession of Bishop Lynch when he arrived in Gyor. Where the bishop got the picture is a mystery yet to be solved. Canon George’s article, however, was avidly consumed in Gyor. A reader, Ms Catherine Cheoinin, told me that Hungarians ‘still firmly believe the ‘empty frame’ story. She met a group of Hungarians praying before the ‘frame’ some years ago. Catherine has been to Gyor a number of occasions, and was greatly impressed by the story. She is aware that several devotees in Gyor would be anxious to have closer ties with Galway and Loughrea. She has given a talk on the Irish Madonna, to a well attended meeting in a hotel in Galway. She recalled that some years ago a former mayor of Galway, Cllr Padraig Conneely, members of the county council, and Bishop Kirby of Clonfert were invited to Gyor to celebrate the 350th anniversary of the miracle. Another reader Paul Walsh has taken the trouble to look at the ‘empty frame’ more closely and has shared his interesting opinion. ‘Given its prominent position within the transept I think it would safe to suggest that this is likely to be the burial place of the family of Nicholas Mór Lynch who built this extension. He was mayor of Galway in 1554-5 and again in 1561-2 though the sources are not in agreement as to which mayoralty his work should be assigned. As his name is not included in the list of former mayors for the year 1567 we may take it that he probably died in 1566 or at least before the election of the new mayor on 1st August of the following year. Nicholas Lynch was the son of Stephen, who completed the south aisle where his arms impaled with those of his wife (Margaret Athy ) may be seen to the right of the corbel at the entrance to this aisle. Work on this aisle was begun by Stephen’s father, Dominick, who died in 1508. ‘It is very evident that the tomb in the south transept was painted for faint traces of red and fragments of blue pigment were visible on some of the shields along the sides of the monument when I inspected it many years ago. Although such painted inscriptions mostly survive on early 17th century memorials (for example, those of Richard Boyle, 1st earl of Cork, in St Patrick’s Cathedral Dublin and St Mary’s in Youghal ), the tradition of painting tombs and inscriptions has a long pedigree. One of the finest surviving examples in England is the tomb of John Gower (d 1408 ) in Southwark Cathedral, London.